We know the way you sleep isn’t one-size-fits-all. It’s why we’ve got three gorgeously comfortable mattresses to choose from. Our most luxurious mattress with indulgent comfort, added pressure relief and active cooling. 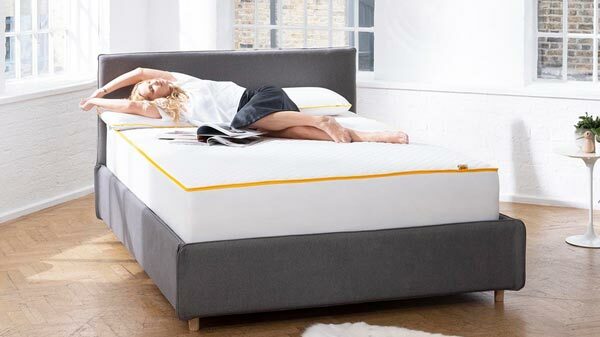 Our most popular mattress with snug comfort, top-to-toe support and breathable memory foam. Our memory foam and pocket spring mattress with breathable, slumber-inducing comfort and responsive support. We spend a third of our lives in the land of nod, so finding the best mattress that is right for you is essential. Follow our mattress guide to discover your perfect match. Mattresses have come a long way in recent years. Once upon a time, you could only buy ones with spring coils. But now, mattresses can be made from a whole host of materials - from memory foam to latex. 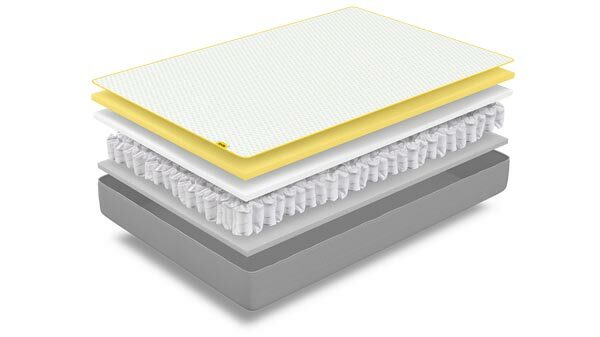 At eve, we have two foam mattresses and one hybrid (a combination of memory foam and pocket springs). When you lie on a memory foam mattress you’ll notice the surface lightly contours to your body - a bit like a very gentle hug. The memory foam of yesteryear used to feel slightly too sinky, but the newer stuff, like our very advanced foams, stop this happening. Memory foam mattresses are also good for pressure relief, as they evenly distribute your body weight. Nowadays, some mattresses even have tiny cutouts in the foam (techy people call this zoning) that further relieve pressure from your pointy bits. We’ve used this technique in each of our foam mattresses, so you feel great when you wake up. You’ll also find each mattress has a firmer, supportive foam base. This all helps to keep your neck and spine aligned, whatever position you sleep in. Our memory foam also absorbs movement. If there’s someone beside you, they can toss and turn as much as they like. You’ll sleep right through it. A hybrid mattress is a good choice for those who can’t decide between memory foam and pocket spring. Ours has full-size pocket springs to give every bit of you the right support while you sleep. It’s topped with a thick layer of our new type of memory foam for added comfy squishiness. There’s no one-size-fits-all mattress, and the first step in finding a new one is knowing what feels right for you and how you sleep. It’s why we give you 100 nights to do exactly that. That’s any mattress for 100 snoozes to see how it feels for you. If you don’t like it, we’ll pick it up from your bedroom for free - no strings attached. And it doesn’t even have to go back in the box. You guessed it. Natural mattresses are made from materials, like cotton, wool or latex, provided by mother nature herself and come with all the lovely benefits you’d expect from organic fibres. These materials create a comfy base, are naturally very breathable and moisture-wicking for a cooler sleep. The downside? Natural and organic mattresses often come with a hefty price tag. A traditional favourite for mattress buyers, pocket springs provide responsive, upward support and tend to be budget-friendly. Springs make the mattress airy, so it’s a solid option for hot sleepers. 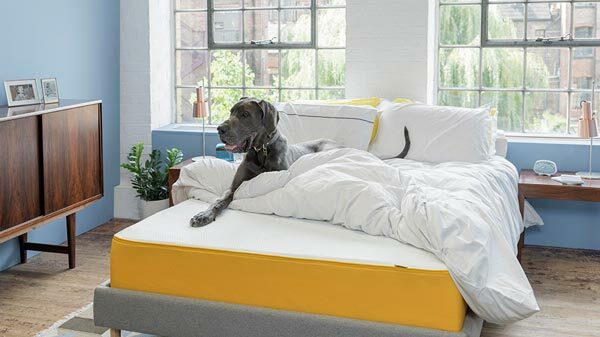 Some spring mattresses are now being topped with comfortable, plush memory foam, just like our very own hybrid mattress, for a wonderful best of both. Sleep next to a fidgeter? If you’ve got the wrong type of mattress, you’ll feel every toss and turn - making it feel like you’re sleeping on the high seas. This wobbly feeling is called motion transfer, and it can be the difference between a great night and sleepless one. You tend to feel more wobbles on a traditional spring mattress than a memory foam one. We’re proud to say that every eve mattress has no motion transfer, so you won’t be disturbed by a fidgeting partner. Okay, we’ll stop showing off now. All of our mattresses give you a Goldilocks, just-right medium-firm support. We’ve found this sweet spot suits all types of sleeping positions. It helps back and front sleepers get the support they need for their lower back - while people who sleep on their side get pressure relief for their shoulders or hips. But, we know that comfort is about more than just support. So, each of our mattresses will also give you a unique feeling when you lie on them. It’s all thanks to the top layers. Some, like our premium mattress, give you a deeper, marshmallowy cushioning. Others, like our original and hybrid mattresses, have lighter cushioning on top. Don’t forget, you can always try us instore if you’re unsure. get too hot when you sleep? Older types of memory foam had the tendency to make things too warm in bed. We only use a new kind that makes things more breathable and cool. It’s all down to bubble-like cells in the foam that let air flow through your mattress. But, we also know some of you feel slightly warmer than others at night. So, in our premium mattress, you’ll find tiny graphite particles infused into the foam, which pull heat away from your body. If you regularly feel too toasty to sleep, this mattress could be the one for you. Pocket springs (like the ones in our hybrid mattress) are also naturally very airy - and another sensible mattress choice for you hot sleepers out there. Do you wake with an ache? Or struggle to fall asleep in the first place? Your mattress could have a lot to answer for. Keep your eyes peeled for sagging, any unevenness or lumpiness from displaced springs. It’s time to start mattress shopping if your current one is uncomfortable and not giving your body the support it needs. 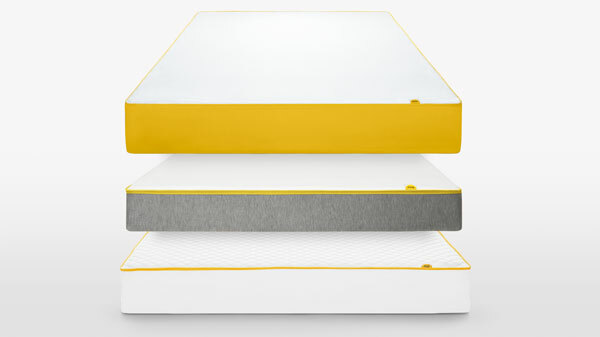 If you invest in a high-quality, well-designed foam or pocket-spring mattress, it has the potential to keep its shape and support for a whopping 10-15 years. But, because of the build-up of dust, oils, moisture and dead skin, we think it’s best to change your mattress every 8-10.
what's the best mattress size? When deciding on the best mattress size for you, ask yourselves some questions: where will it sit? Who will use it? How will it look in your bedroom? How does your bed frame measure up? You might want a smaller mattress for a guest room or an indulgent super king size in the master bedroom for you to sprawl across. If you’re buying a mattress with a partner, consider whether a double will be enough - or do you need the space for long limbs that a king size bed will give you?